The Zarla has contemporary looks and is super comfy. 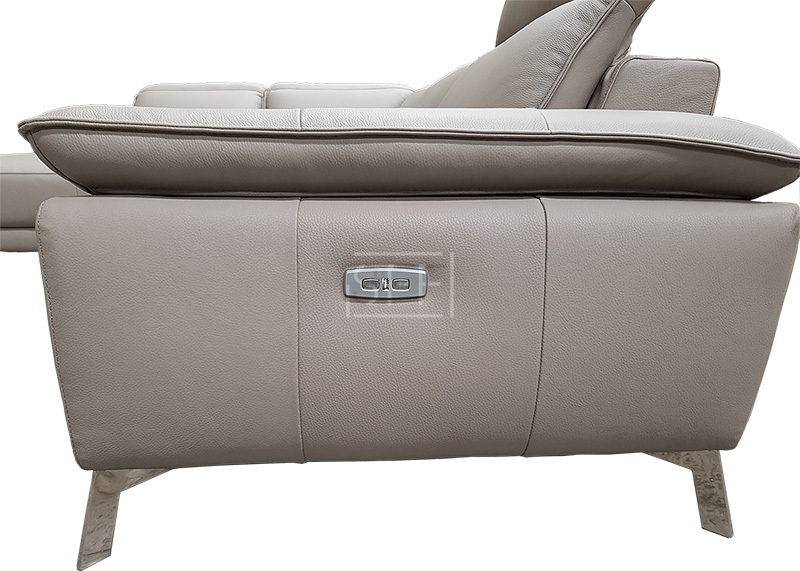 It is upholstered in a soft, thick 100% leather (Taupe colour as pictured) and each seat features an adjustable headrest so you can find that perfect position, whilst the end seat has a comfy electric recliner with electric headrest. 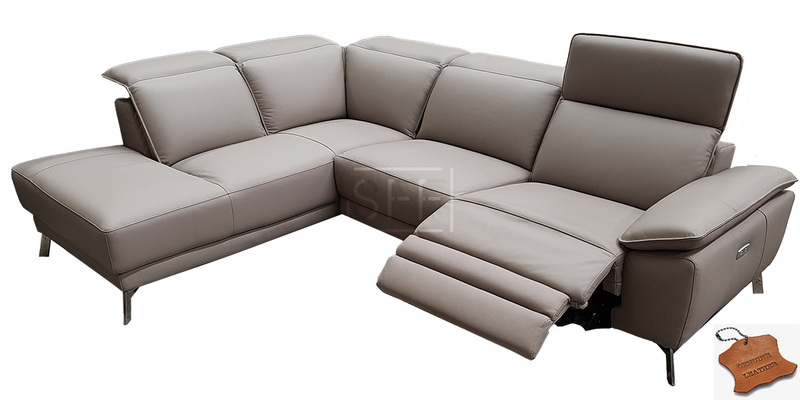 The Zarla is made in 2 sections (2 seater with an arm + corner with chaise) for easy delivery that hook together. The Zarla features a soft, thick, 100% leather means that real, cow hide leather is used all over the lounge including the side and back panels. This type of leather has a very even finish with minimal scarring and has a protective seal. Solid wood & Ply Framing. Chrome Steel Legs. Soft, Extra Thick, 100% Genuine Leather including the back & sides. We keep stock of the Zarla for fast delivery. The Zarla lounge is on display in our showroom at 4 Nursery Rd Campbelltown. Feel free to visit us 7 days a week between 9.30am-4.30pm to try it out and discuss your requirements for your lounge room.